Last month in Los Angeles I discovered that a high rise in progress is occupying the very parking lot from which I made the photograph just below. 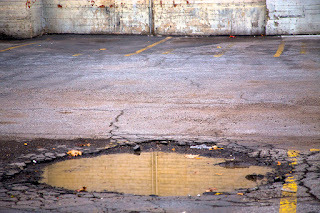 Just twenty-one months earlier a reflective puddle was the sole resident of the broken asphalt. 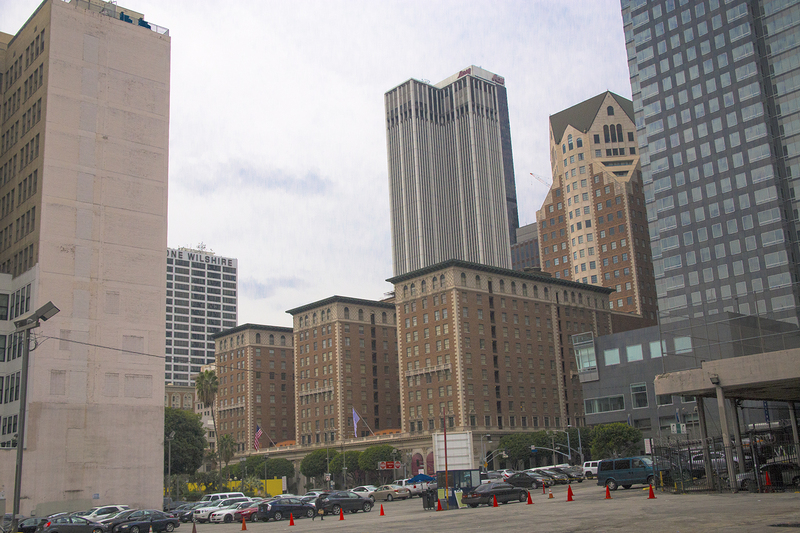 This is exemplifies the onslaught of new construction that's transforming LA's downtown into a desirable place to work, live and play. 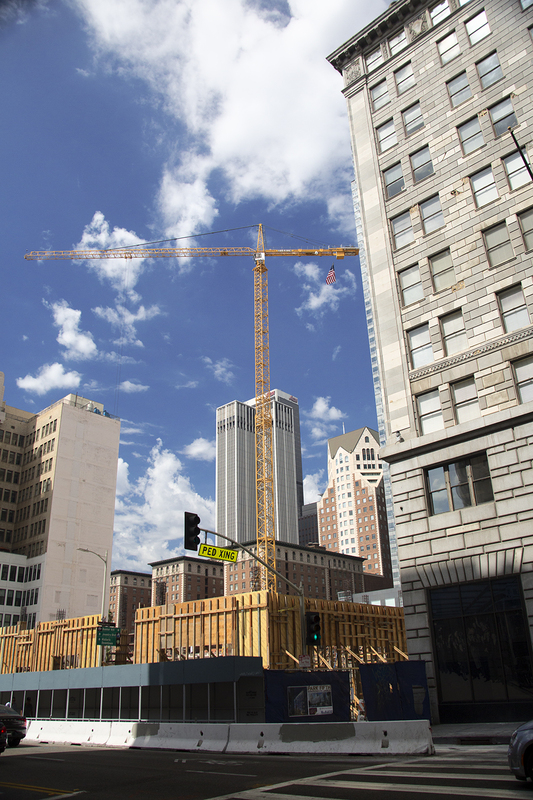 At every turn cranes scrape the sky and scaffolding grips the sides of office buildings as they morph into upscale lofts. Very few people who occasionally visit Los Angeles would have realized that a new high rise was going up in front of the building you photographed last year. A pity because that building has beautiful design elements to it. But a photographer with your observational skills would catch that and it is cool that you did. Thanks for doing the 2016 and 2017 comparison. 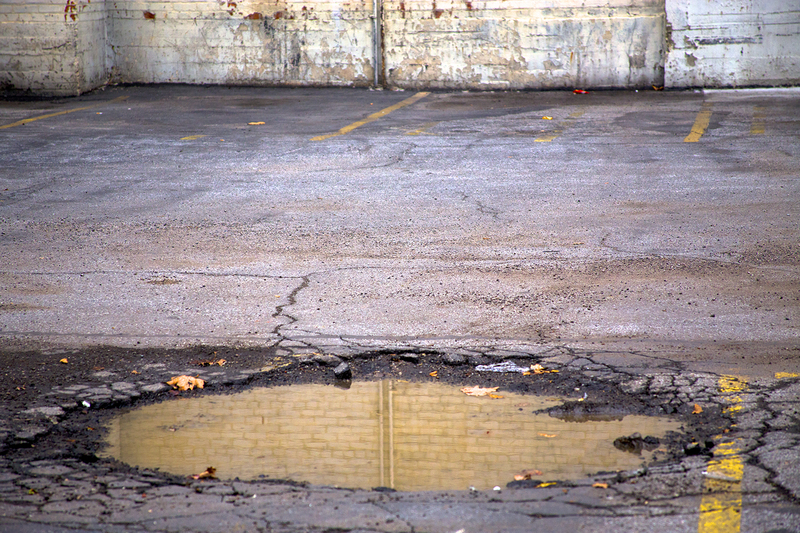 I have also always loved the puddle shot that you took last year. You keep us looking, Steve! Steve. You're making me homesick for LA! Is that possible? Nice progress shots, Amigo!